It applies to Information collected by us, or provided by you, over our Website and the Enigmas app (“App”). It is also intended to assist you in making informed decisions when using our Website and App. Please take a minute to read and understand the policy. 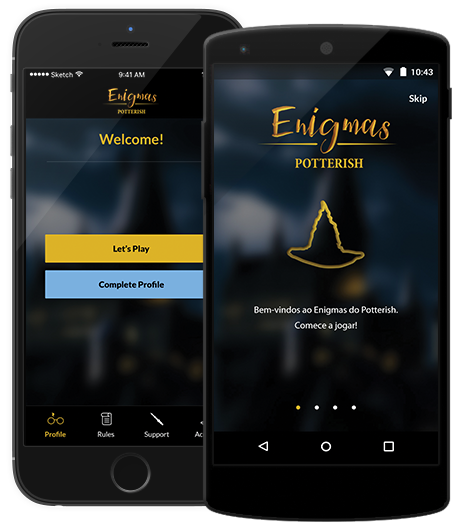 DATA CONTROLLER, Potterish LTD, London, United Kingdom. Potterish LTD is the data controller of your Information for the purposes of the Act. What Information Do We Collect on our Website/APP? by corresponding with us by email, in which case we may retain the content of your email messages together with your email address and our responses. We may also collect information about your computer, including where available your IP address, operating system and browser type and the geographical location of your computer, for system administration. This is statistical data about browsing actions and patterns and does not identify you as an individual. We maintain the highest standards of security, however the transmission of information via the internet is not completely secure. So, whilst we will do our best to protect your Information, we cannot ensure the security of your data during transit to our Website or App. Any information you submit is sent at your own risk. Once we have received your Information we will use strict procedures and security features to prevent unauthorized access.